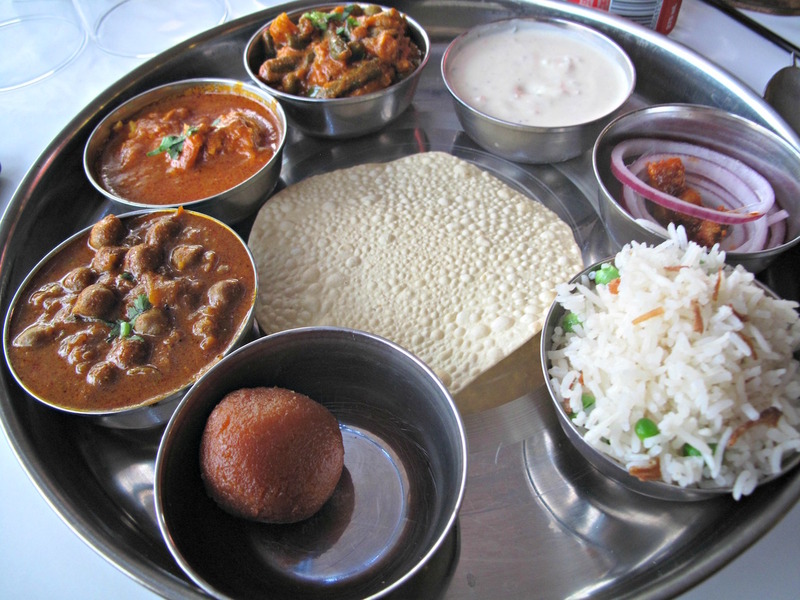 Luckily for us, the Indian food we most like is frequently produced by eateries at the lower end of the price spectrum. But for once, we decide to try one of the spiffier places on Watton Street. Not that Nawab Sahab, once you’re inside, is overwhelmingly grand or anything like that. And the prices are very reasonable. 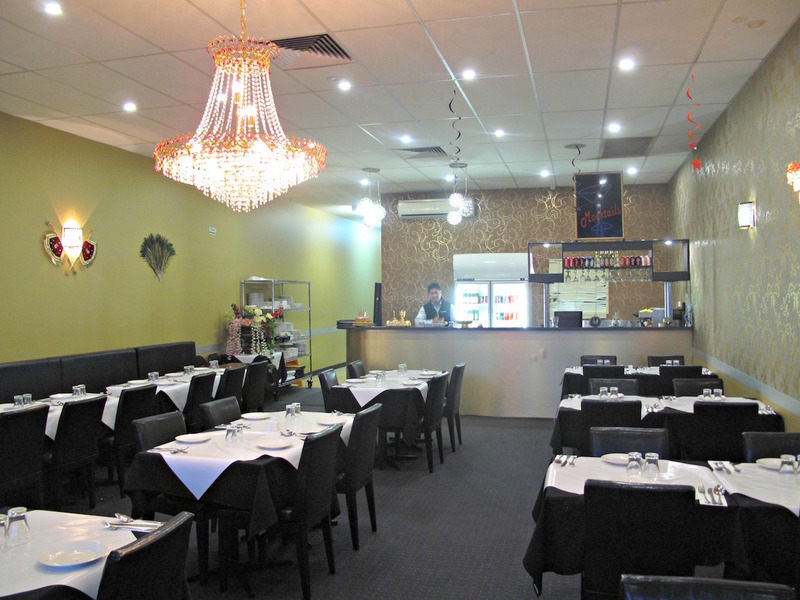 Very unusually for a western suburbs Indian eating house these days, there is no inclusion here of South Indian fare such a dosas, idlis, vadas and the like, and only a minimal Indo-Chinese component. But there are handy points of difference choices under headings such Mumbai Special and Delhi Corner. 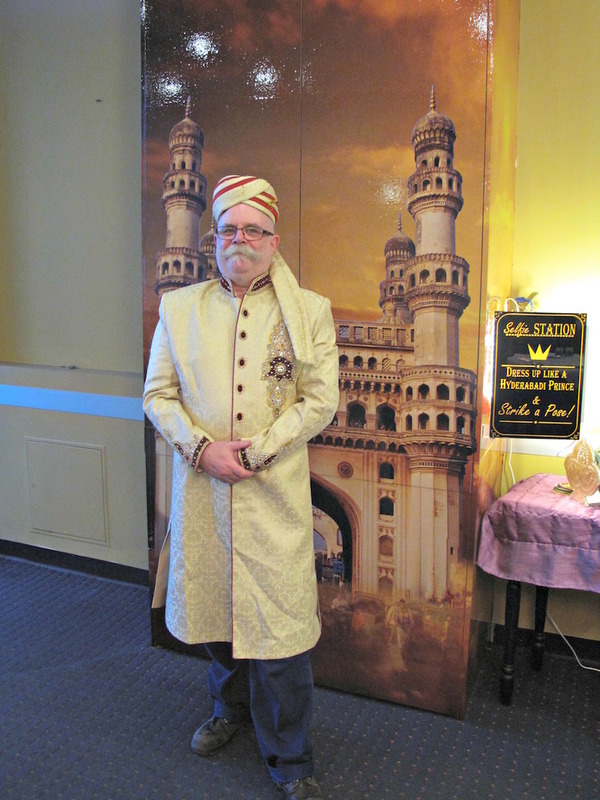 Nawab Sahab also has a feature I have never before seen in an Indian restaurant – or a restaurant of any kind: A “selfie station” at which guests are invited to “dress up like a Hyderabdai prince”. 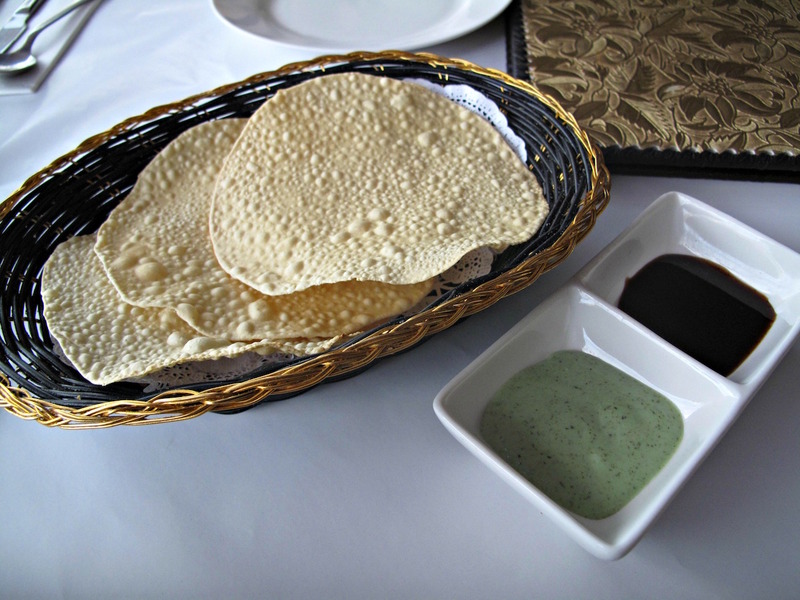 We love it that a serve of papadums – unoily, crisp and with minty and tamarind dipping sauces on the side – is brought to our table without charge, as is a second serve. For the first of two visits, Bennie and I both enjoy the “gold” thali (top photo) – at $21.50, a little more expensive than most of their kind, but still good. Nice rice, a tangy chicken curry, a mushy one of the veg kind, rather crunchy chick peas, a way better-than-average raita, onion/pickle and a somewhat doughy gulab jamun – we are happy with what we eat. 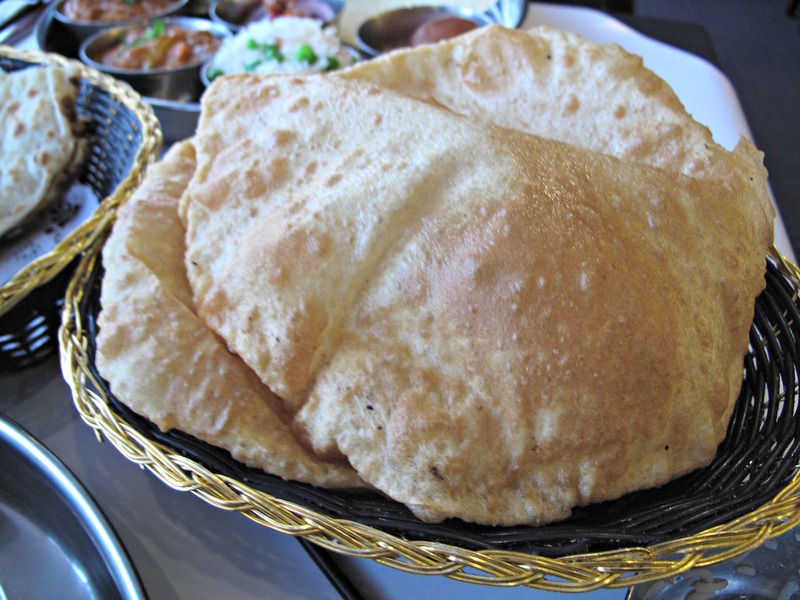 … the other with pooris. Our second visit, a week later, is uneven. Bennie’s order of chicken noodles is a mistake. 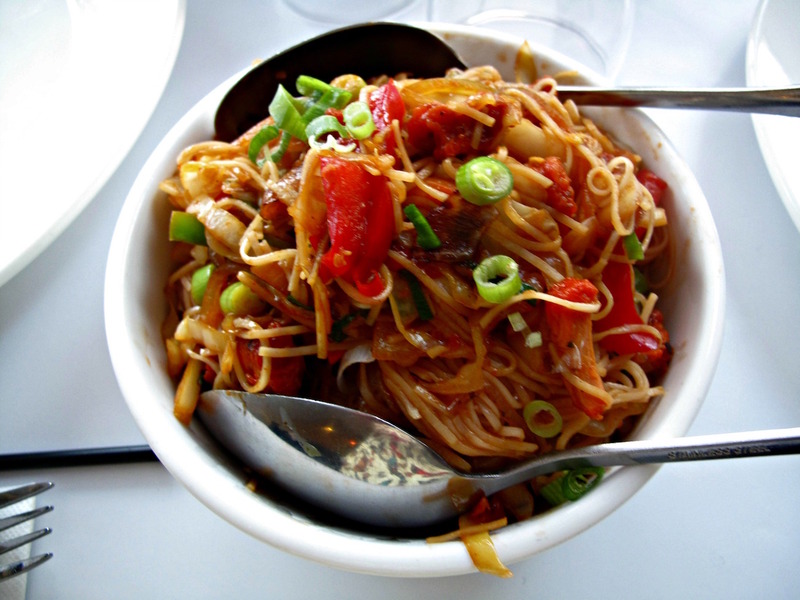 Much as we like Indo-Chinese food, this dish reinforces for us the folly of ordering noodles in Indian eateries – though we have come across a few exceptions. At $17.50, this over-priced for a very average noodle outing – though the serve is bigger, and deeper, that it first appears. Really, either of the cheapie noodle houses a block away would do better for a quick, wok noodle fry-up. Unfortunately, Bennie completes his dinner before mine arrives – and by now I’m wishing we’d gone elsewhere. 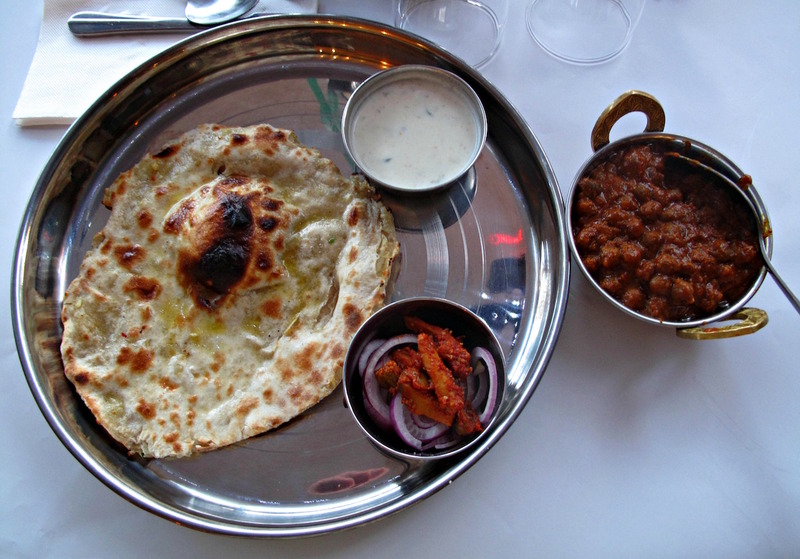 My Amritsari kulcha ($16.50) does, however, redeem our night handily – especially when the second, advertised naan arrives. 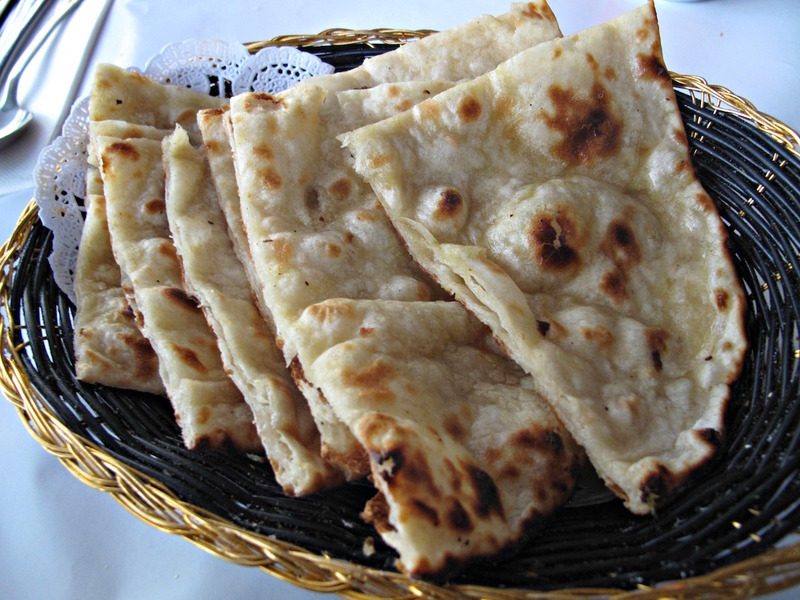 The naan have only the very faintest paneer quotient, but are hot, lovely and slathered with ghee. The chick peas are the same dark and overtly al dente specimens served with our earlier thalis and the raita is, again superb. 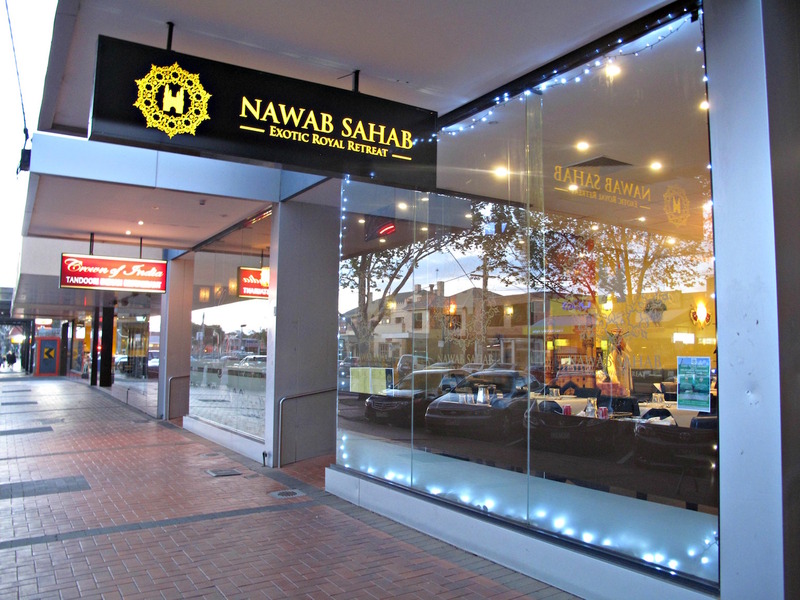 Check out the Nawab Sahab website – including menu – here. Worth it for the selfie! 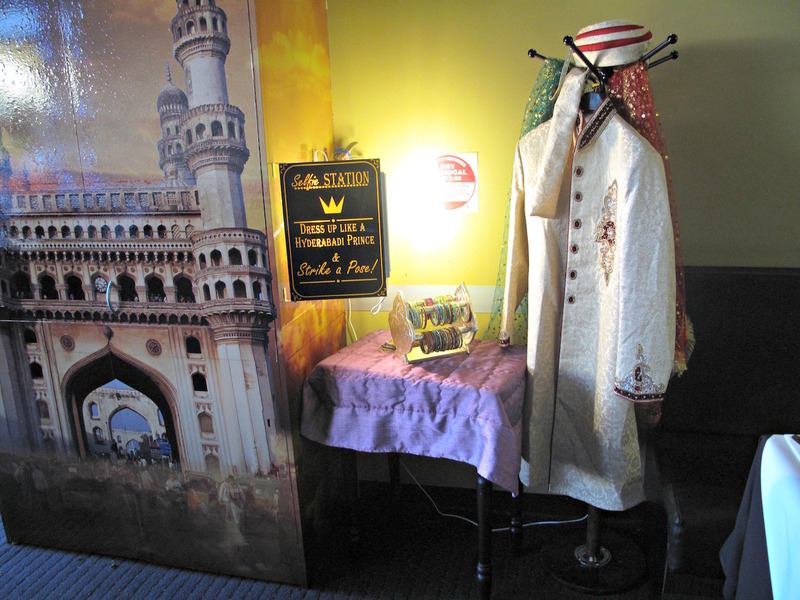 hope jacket fits all!.you look Hyderabdai prince!